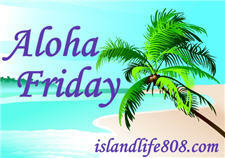 Aloha Friday: How often do you reevaluate your beliefs? Yesterday, I talked about re-evaluating my religious beliefs. Today, I was wondering how common this is for everyone else. Do people take a good long look at their beliefs and practices every year, every five years, or pretty much never? My Aloha Friday question to you is: How often do you re-evaluate what your religious beliefs are? I measure it up to the Bible and what is says. So, I guess my answer would be all the time. Just about every night when I get into bed, I pray and think about what’s going on in my life, where I’m at and where I’m going – so, I guess I could say it’s a continuous thing for me. I would when I was younger but, having kids has changed all that. I think about the people who died for me to be here today questioning my religion. I think it is quite normal. .-= Jennifer´s last blog ..The Culture of Excess by J.R. Slosar – A Book Tour and Review =-. .-= angie´s last blog ..Friday Frustration =-. quite often! there is so much mumbo jumbo going on it just makes you wonder. Huh!! It is funny that you ask this this week as I am sort of reevaluating my whole life at the moment. My beliefs about just about everythng, including my religion. .-= Upstatemomof3´s last blog ..Goofy, Goofy, Goofy =-. When the mood strikes me. I’m pretty much content in my religion. .-= The Moody Mix´s last blog ..Make You Happy =-. I’m not a very religious person but lately my older daughter has been asking about different beliefs. It’s been making me re-evaluate things.